This past weekend I ditched my electric skateboards and decided to risk my life testing a whole new and evolving category of personal electric vehicles: e-bikes. Lithium Cycles is one such maker of e-bikes, is based out of Tustin, California and scored $300K of equity crowdfunding earlier this year. 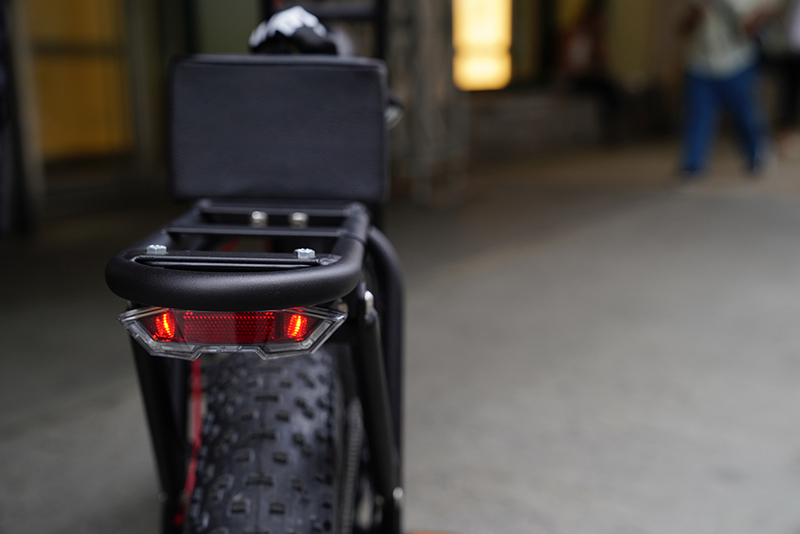 The market for e-bikes in the United States is expanding and the reasons are straightforward. They weigh almost the same as regular bikes, can be secured using the same locks, but are faster with a lower learning curve than say, electric skateboards. Because let’s be honest, you never forget how to ride a bike. 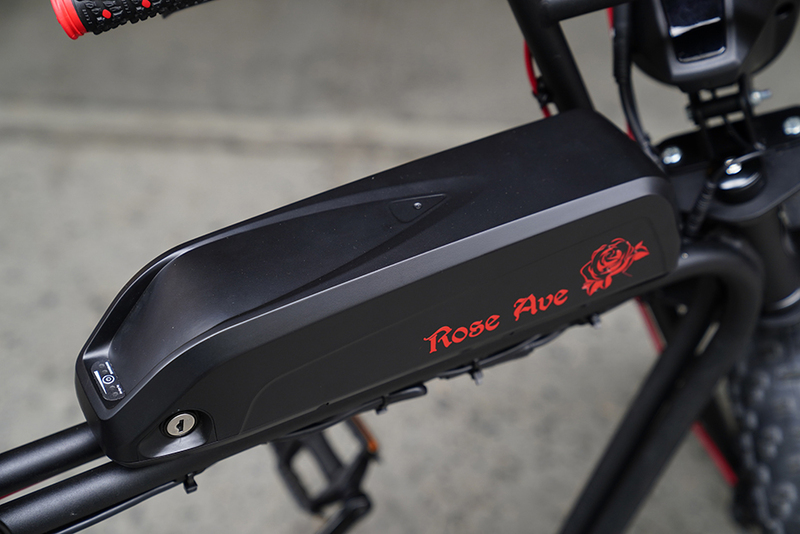 This particular Super 73 e-bike is a collaborative design with YouTuber, Jesse Wellens, called the Rose Ave edition. It sports a 20mph top speed, 40-mile range, cargo racks for storage, plus head and brake lights. This is all made possible through the rear 500 watt, in-hub motor (think Inboard’s in-hub motor tech), which is activated via a thumb lever on the right-hand grip. 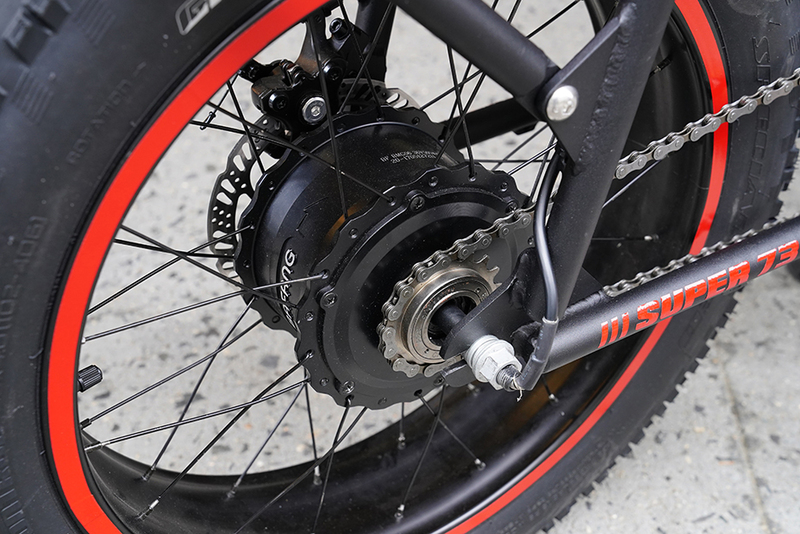 I spoke with Aaron Wong, co-founder of Lithium Cycles and one of the engineers behind the Super 73 e-bike, asking why pedals were included with such a fast and reliable motor. His answer was, “increased range and lane-splitting.” That makes complete sense, given the congested city streets. Wong doesn’t see electric skateboards as competition. Of course, what stands out to passers-by the most are those huge, knobbly off-road tires. Personally, it’s refreshing to not have to worry about cobblestone, small potholes or uneven pavement. In contrast, drastic surface changes often render electric skateboards dangerous or useless. Safety is of course a main concern when riding an e-bike. Lithium Cycles thinks the best safety precautions you can take are a helmet and top-end disc brakes. As you’d expect, the front brake has more immediate feedback than the rear, but if you practice your braking technique it’s possible to use them together to great effect. 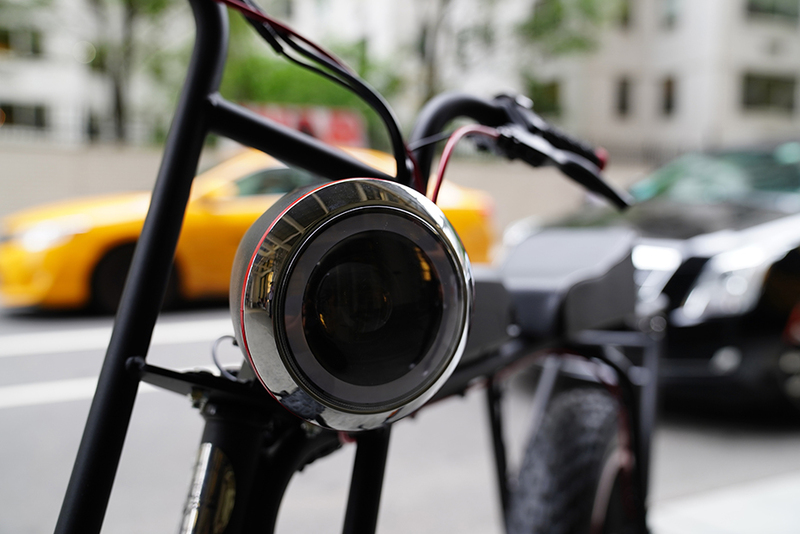 For a custom bike frame that’s been fitted with an in-hub motor, I was actually surprised it came with a front beam headlight, a functioning brake light and a small bell for alerting others on the road that you’re flying past. Regarding availability, the Super 73 Rose Avenue will start shipping in December to the U.S. and Canada, in time for the holiday season. 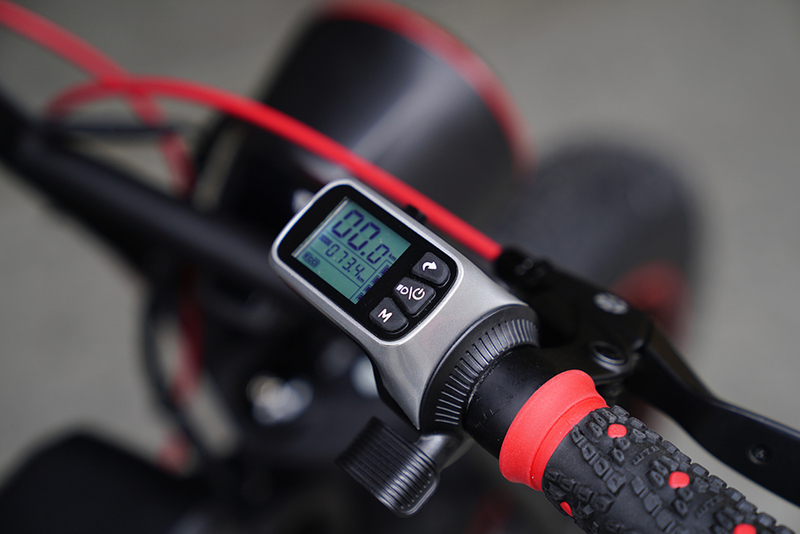 Pre-orders are available starting today, directly from Lithium Cycles. Personally, I’m already sold on the idea that e-bikes can become viable form of personal transport in the city, right up there with walking and electric skateboards.